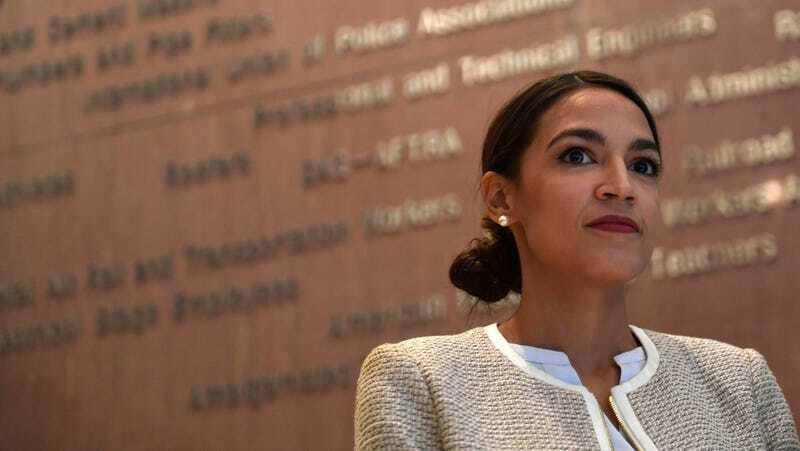 The climate change program that Representative Alexandria Ocasio-Cortez helped push to the front of a national progressive agenda was finally introduced on Thursday. It’s an important, ambitious plan, and we’re kind of fucked without it. The Green New Deal not only targets the industries that are the primary greenhouse gas producers, but also helps protect people and communities that are disproportionately vulnerable to the effects of climate change—like low income people of color and indigenous groups. • “High-quality health care” for all Americans. There’s also language in the Green New Deal that would ensure that any infrastructure bill passed by Congress addresses climate change. President Trump and the Republican Party’s continued skepticism of the science behind climate change, on top of the fact that the the Green New Deal also functions as a progressive wish list around jobs and healthcare, on top of the fact that centrist Democratic leadership is already trying to undermine the program’s ambitions signals that its passage would be nothing short of a miracle. Still, its introduction is an important milestone in a shifting political conversation around the urgency of climate action. Despite five presidential contenders in the Senate—Kamala Harris, Kirsten Gillibrand, Bernie Sanders, Cory Booker, and Elizabeth Warren—supporting the bill, there isn’t consensus among the Democratic Party as a whole. Let’s see where this goes next.